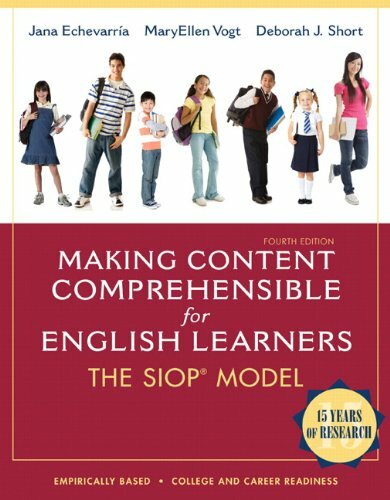 Educators have come to rely on Making Content Comprehensible for English Learners: The SIOP® Model as one of the most influential books in the field. In this new fourth edition the authors present the most comprehensive, coherent model of sheltered instruction yet by fully explaining the widely popular SIOP®(Sheltered Instruction Observation Protocol) Model and providing lesson plans and instructional activities to help teachers implement it effectively in K–12 classrooms. From its opening overview of the issues related to educating English learners to its new Chapter 12 that presents frequently asked questions with answers from the authors to help teachers get started implementing SIOP®, the book provides school administrators, teachers, coaches, teacher candidates, university faculty, and field experience supervisors with a superior tool for improving the education of English learners and promoting their academic gains.